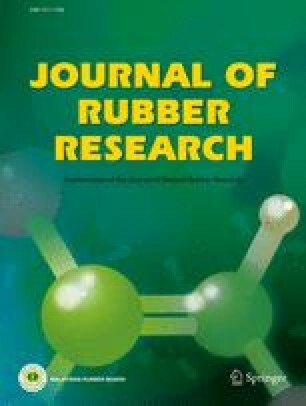 An odour dispersion modelling approach was adopted to assess odour dispersion, particularly from the drying stage of raw rubber processing factories, identified as a major source of malodour pollutant in the rubber industry. The Ausplume modelling software which uses a Gaussian plume dispersion model was used to predict odour dispersion from the water scrubber, a malodour control system used by rubber processing factories. The modelling involved a selected range of parameters in correlation with characteristics of raw rubber malodour pollutants and interpretations of the predicted data were discussed in terms of effects of stack height of the water scrubber, odour concentration and local meteorological conditions at several locations in peninsular Malaysia. In general, it was found that a higher stack of water scrubber minimises effects of different emission concentration characteristics and local meteorological conditions. This was demonstrated by profiles of predicted odour concentration dispersion and minimal dispersion variation within variables as attributed by standard deviation curves. Furthermore, higher stacks predicted lower odour concentration carried over from the point of emission to ground level receptors by taking into consideration all of the modelling assumptions. In summary, the initialfindings from this work are beneficial to designing a better odour control system which subsequently minimises odour impact to the surrounding environment.